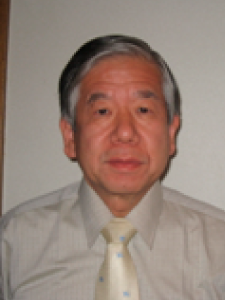 Mimori Y, Katsuoka H, Nakamura S: Thiamine therapy in Alzheimer’s disease. Metabolic Brain Dis, 11:89-94,1996. Mimori Y, Nakamura S, Yukawa M: Abnormalities of acetylcholinesterase in Alzheimer’s disease with special reference to effect of acetylcholinesterase inhibitors, Behavioural Brain Res, 83,25-30,1997. Larson E, McCurry SM, Graves AB, Bowen JD, Rice MM, McCormick WC, Zee N, Imai Y, White L, Masaki K, Petrovich H, Ross W, Yamada M, Mimori Y, Sasaki H: Standardization of the clinical diagnosis of the dementia syndrome and its subtypes in a cross-national study： The Ni-Hon-Sea experience, J Gerontol： MEDICAL SCIENCE, 53A：M313-319, 1998. Kaseda Y, Jiang C, Kurokawa K, Mimori Y, Nakamura S: Objective evaluation of fatigue by event-related potentials, J Neurol Sci, 158:96-100, 1998. Katsuoka H, Mimori Y, Kurokawa K, Harada T, Kohriyama T, Ishizaki F, Harada A,Nakamura S: QTc interval, autonomic and somatic nerve function in patients with non-insulin dependent diabetes mellitus, Clin Auton Res, 8:139-143, 1998. Yamada M, Sasaki H, Mimori Y, Kasagi F, Sudoh S, Ikeda J, Hosoda Y, Nakamura S, Kodama K: Prevalence and risks of dementia in the Japanese population：RERF’s adult health study Hiroshima subjects, J Am Geriatr Soc, 47:189-195, 1999. Kurokawa K, Mimori Y, Tanaka E, Kohriyama T, Nakamura S: Age-related change of peripheral nerve conduction; compound muscle action potential duration and dispersion, Gerontology, 45:168-173, 1999. Inoue K, Mimori Y, Nakamura S: N10 potential as an antidromic motor evoked potential in a median nerve short-latency somatosensory evoked potential study. J Clin Neurophysiol, 19:37-42, 2002. Naka H, Ohshita T, Murata Y, Imon Y, Mimori Y, Nakamura S: Characteristic MRI findings in multiple system atrophy: comparison of the three subtypes. Neuroradiology, 44:204-9, 2002. 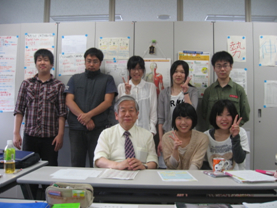 Yamada M, Sasaki H, Kasagi F, Akahoshi M, Mimori Y, Kodama K, Fujiwara S: Study of cognitive function among the Adult Health study(AHS) population in Hiroshima and Nagasaki. Rad Res, 158:236-240. 2002. Sauvaget C, Yamada M, Fujiwara S, Sasaki H, Mimori Y: Dementia as a predictor of functional disability: a four-year follow-up study. Gerontology, 48:226-233,2002. Yukawa M, Miyachi T, Ochi H, Katayama S, Kohriyama T, Mimori Y, Nakamura S: Characteristic features of folate-deficient neurological diseases in the elderly. Geriatric Gerontol Int, 2]97-104, 2002. 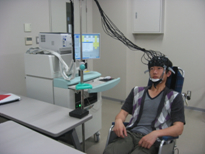 Naka H, imon Y, Ohshita T, Honjo K, Kitamura T, Miyachi T, Katayama S, Mimori Y, Matsumoto M: Magnetization transfer measurement of brain structures in patients with multiple system atrophy. Neuroimage, 17:1572-1578 2002. Yamada M, Kasagi F, Sasaki H, Masunari N, Mimori Y, Suzuki G: Association between dementia and midlife risk factors: the Radiation Effects Research Foundation Adult Health Study. J Am Geriatic Soc, 51:410-414 2003. Matsuoka N, Kohriyama T, Ochi H, Nishitani M, Sueda Y, Mimori Y, Nakamura S, Matsumoto M: detection of nerve root hypertrophy by ultra sonography in chronic inflammatory demyelinating polyradiculoneuropathy. J Neurol Sci, 219:15-21 2004. Naka H, Nomura E, Wakabayashi S, Kajikawa H, Kohriyama T, Mimori Y, Nakamura S, Matsumoto M: Frequency of assymptomatic microbleeds on T2*-weighted MR images of patients with recurrent stroke: Association with combination of stroke subtypes and leukoaraiosis. AJNR Am J Neuroradol, 25:7714-719 2004. Inoue K, Hashimoto I, Shirai T, Kawakami H, Miyachi T, Mimori Y, Matsumoto M: disinhibition of somatosensory cortex in cervical dystonia-decreased amplitudes of high-frequency oscillations. Clin Neurophysiol, 115:1624-1630 2004. Honjo K, Ohshita T, Kawakami H, Naka H, Imon Y, Maruyama H, Mimori Y, Matsumoto M: Quantitative assessment of cerebral blood flow in genetically confirmed spinpcerebellar ataxia type 6, Arch Neurol, 61:933-937, 2004. Naka H, Nomura E Takahashi T, Wakabayashi S, Mimori Y, Kajikawa H, Kohruyama T, Matsumoto M: combination of the presence or absence of cerebral microbleeds and advanced white matter hyperintensity as predictors of subsequent stroke types. AJNR Am J Neurorad, 27:830-835 2006. Yamada M, Mimori Y, Kasagi F, Miyachi T, Ohshita T, Sudoh S, Ikeda J, Matsui K, Nakamura S, Matsumoto M, Fujiwara S, Sasaki H.: Incidence of dementia , Alzheimer disease, and vascular dementia in a Japanese population: Radiation Effects Research Foudation Adult Health Study. Neuroepidemiology. 30(3):152-60, 2008. doi: 10.1159/000122332. Epub 2008 Apr 1. Yamada M, Mimori Y, Kasagi F, Miyachi T, Ohshita T, Sasaki H.: Incidence and risks of dementia in Japanese women: Radiation Effects Research Foundation Adult Health Study. J Neurol Sci, 283(1-2):57-61, 2009. doi: 10.1016/j.jns.2009.02.338. Epub 2009 Mar 5. Yamasaki T, Muranaka H, Kaseda Y, Mimori Y, Tobimatsu S.: Understanding the pathophysiology of Alzheimer’s disease and mild cognitive impairment: A mini review on fMRI and ERP studies. Neurol Res Int; 2012:719056, 2012. doi: 10.1155/2012/719056. Epub 2011 Jul 7. 山田美智子、三森康世、佐々木英夫、池田順子、中村重信、児玉和紀：高齢者の認知機能障害の検討 -Cognitive Abilities Screening Instrument (CASI)による評価-，日老医誌，37: 56-62，2000. 井上　健，三森康世，織田雅也，永野義人，仲　博満，立木規子，檜垣雅裕，堀江ノブコ，村上善生，中村重信：末梢神経伝導検査各指標の検査間・検者間再現性に関する検討，総合保健科学：広島大学保健管理センター研究論文集, 17: 1-6，2001. 勝岡宏之、三森康世、郡山達男、檜垣雅裕、満岡恭子、原田　暁、中村重信、勇木　清、粟屋幸一、福原敏行：多発性脳梗塞を反復し、肺癌に合併した劇症型抗リン脂質抗体症候群の1剖検例，脳と神経， 52: 64-69，2000. Nomura E, Harada t, Kurokawa K, Murata Y, Ishizaki F, Mimori Y, Nakamura S: Creutzfeldt-Jacob disease associated with autonomic nervous system dysfunction in the early stage, Internal Med, 36:492-496,1997. Ochi K, Noda K, Kawakami H, Oka M, Imon Y, Mimori Y, Nakamura S: Dentro-rubral tract involvement in adult-onset adrenoleukodystrophy, Am J Neuroradiol, 19:1904, 1998. Kurokawa K, Noda K, Mimori Y, Watanabe C, Katayama S, Nakamura S, Sannomiya K, Yamamoto S, Tahara E: A case of pandysautonomia with associated sensory ganglionopathy, J Neurol Neurosurg Psychiatry, 65:278-279, 1998. 勝岡宏之，三森康世，郡山達男，江　春輝，池田順子，中村重信：感冒症状後に発症し，回復期に振戦を認めたmultifocal demyelinating motor neuropathyの１例，臨床脳波，39：701-704，1997. Yamasaki T, Horie S, Muranaka H, Kaseda Y, Mimori Y, Tobimatsu S.: Relevance of in vivo neurophysiological biomarkers for mild cognitive impairment and Alzheimer’s disease. J Alzheimers Dis, 31 Suppl 3:S137-54, 2012. Review. 井上　健，白井拓史，三森康世：Multimodality evoked potential. Clinical Neuroscience，20：1001-1002,　2002. Copyright © Hiroshima International University All rights reserved.